Identify the central threads that emerge from the classical narrative of the death of al-Hussain. The battle of Karbala, which took place in the deserts of Southern Iraq in 680 AD, is a central event in Shi’ism which serves as a point of reference for many Shi’i religious beliefs and practices. In a sense, Karbala has become the ‘root metaphor’ for Shi’i beliefs and the narratives associated with it have came to be known as the ‘Karbala Paradigm’(Aghaie). 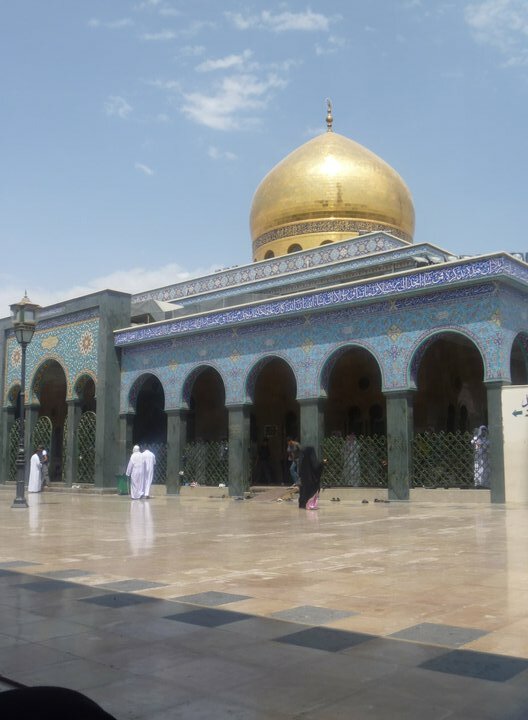 The main themes that have emerged from this event such as resilience in the face of oppression, suffering and redemption, along with unflinching loyalty to the Imams, have become defining features of the Shi’i narrative. First, list the primary elements of the Twelver Shi’i doctrine of occultation (ghayba). Next, articulate the primary arguments (a) for and (b) against its validity. The Shi’ites themselves claim that the concept of the Mahdi is ‘an abstract idea’ of an unknown saviour in the distant future which was given a concrete shape by Islam. because the Mahdi is already present and waiting for suitable time and circumstances for his arrival to beginhis great mission. (Sadr & Mutahhery) The question also come up then why did the majority of other imams carry a disdain for taking up political roles, even at times when conditions were favorable and people were unjustly oppressed and needed saviours. The multifarious indications of the arrival of the Twelfth Imam (Mufid ) seem to be manifestly human constructs that seem extremely time specific and constrained by the circumstances of the the early Islamic period and many of which do not seem realistic in a universalistic sense in today’s world for instance. This could be a reflection of the fact that they were construed by the human mind and were not not divinely sanctioned indications. 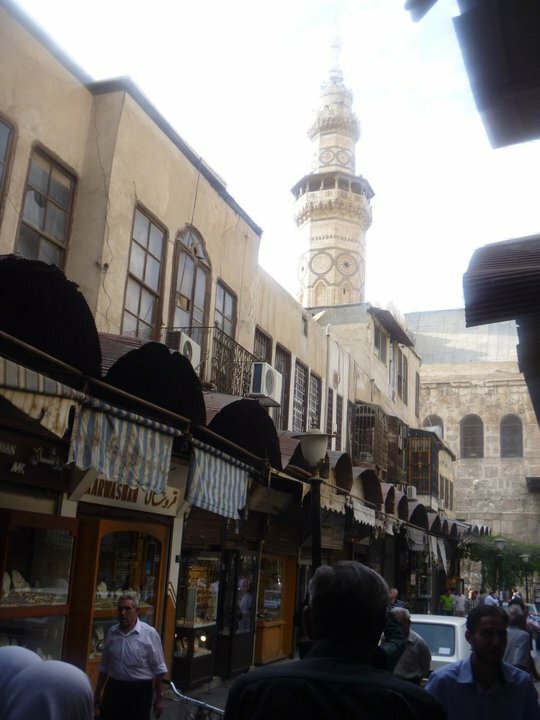 Futhermore at the time of the beginning of the Occultation the Abbasid persecution had become intolerable which nessitated the ghayba. It was a responsiblity that the Twelfth Imam has undertaken and “he was in hiding because he feared that he would be captured and killed”. (Modaressi) The persecution of all the Shi’a imams had been so severe that even the names of the Imams were forbidden to pronounce and were even unknown to many. (Kohlberg) In such a situation it seems logical that the final Imam retreat within God’s protection. The issue of the unnatural longetivity of the ghayba can also be seen as a miracle. Miracles are attested to in all scriptures and accepted by all religions. As can be seen through them that natural law was suspended for Abraham when the Nimrod’s fire turned cold. The case of Noah who lived for 950 years to guide his people, the sea was parted for Moses and the instance of Mairaaj in Quran seem incomprehensive in the logical and rational sense but are accepted today as facts. (Sadr & Mutahhery) In the same way one can make a case for the validity of the ghayba as a phenomenon that is ‘understood best by God’. 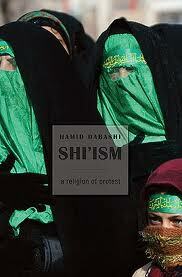 ‘Shi’ism: A Religion of Protest’ is Professor Hamid Dabashi’s latest book which was published recently and presents unusual insights into Shi’ism’. The New York Times carried a review of the book here. According to the Professor Dabashi, Shi’ism is not so much a sect or minority tradition of Islam as it is ‘a state of mind’. This is so because Shi’ism has ‘always defined itself in opposition to the mainstream discourse’ in Islam. Once in a while every other Sunni Muslim can be in such a state of mind, he believes. In a very quotidian way, he describes Shi’ism as being dominated either by ‘very old men sitting in their mosques or very young revolutionaries, fighting wars’. This binary argument can be projected onto his descriptions in his book of the Grand Ayatollah Sistani and the Iraqi firebrand cleric, Muqtada al-Sadr, as “two Shi’is at the two opposing but complementary ends of their faith, defending their cause and sustaining the historical fate of their community in two diametrically parallel but rhetorically divergent ways”. Among other unusual observations he asserts that, “The more volatile, unstable, and impulsive the charismatic outbursts of revolutionary movements in Shi’ism have been throughout its medieval and modern history, because of its traumatic origin, the more precise the exactitude of the Shi’i law has sought to regulate, to the minutest details, the affairs of Shi’i believers—from their rituals of bodily purity to the dramaturgical particulars of their communal gatherings, to their political suspicions of anyone’s claim to legitimate authority”. One of the most interesting discussion in the book is that of Professor Dabashi’s use of a Freudian notion of the ‘Death of the Father syndrome’ that characterizes the Jews and results in a ‘delayed obedience’ on their part through the adoption of systematic rituals. He posits this as an analogy with his idea of the ‘Death of the Son’ concept where in the wake of Karbala tragedy, Shi’ism becomes characterized with a ‘delayed defiance’ being ‘overcome with the guilt of not helping Hussain ( the Third Shi’i Imam)’ which causes it to always ‘say no’ and protest. He believes that the Shi’i proclivity to denunciate everything has be completely historicized in this sense. Below is an introductary video of Professor Dabashi speaking about this book. Week 4 (A) Write a critique of the Twelver Shi’i concept of the Imamate from a Mutazili perspective. If the Imam’s are those who have ‘supreme leadership over affairs of religion and mundane life’ ( Modaressi) and are sent to ‘give proofs’, ‘protect’ and ‘guide’ men at all times (Hilli), then they are essentially making the decisions for people or at the very least manifestly influencing them. Eventually then the Imam’s are responsible for all human behavior, a notion which undermines the concept of free will. If the human being is so dependent on the will of the Imam than there is really no space for him to act independently. Furthermore the concept of divine justice can never be actualized if man is not held accountable for his deeds. The notion of the intercession of the Imams is problematic in this sense that if man commits evil deeds but believes that he will not be held responsible for his actions because of the intercession of the Imams. This could easily become the basis of anarchy in a society. (B) Write a critique of Mutazilism from a Twelver Shi’i perspective. One of the biggest contention between Shi’ism and Mutazalism was over the concept of Imamate. Mutazallism does not believe in infalliability and necessity of the Imams. There is also a significant disagreement on the intercession of the Imams which is directly related to the concept of waid or unconditional punishment of God. Since infalliability and immunity to sin (isma) is one of the salient aspects of Imamate and is a matter which no one perceives but God himself. Imamate is a succession (khilâfa) from God and His Messenger, and it cannot be acquired except by the word of them both. Immunity to sin is ‘a hidden kindness which God Most High shows’. Also by establishing the Imamate by acknowledging any human who is fallible as an imam and by his claim to it total authority would result in conflict (fitna). (Hilli ) The Imams are persons without attachment to the world and do not seeks worldly gains. This cannot be said of the ordinary people who according to Mutazali thought can fit into such a criterion. Prompt Week 3 -Provide a clear and cogent summary of the Shi’i-Mut’azili Tenet of Divine Justice. What are it’s primary doctrinal implications? What would be the most problematic consequences of this conception of a rationally just deity? At the very onset it can be said that Shiism and Mutazalism cannot be conflated with each other (Madelung), but they do seem to have significant resonance on common concerns . There is clearly a longterm impact of Mutazalite thought on Shia theology which seems to have evolved towards the conclusion that the fundamentals of religion are to be derived from reason alone. There are fuzzy boundaries between divergent strains within Shi’ism with regards to the Mutazali influence where Usuli Shiism in more in resonance with Mutazli that the Akbari school and the Baghdad Mutazalite school, which was less radical , was more in agreement with the Shii values. In term of Divine Justice the Shi’i outlook is not a radical departure from Mutazalite views but there is a significantdisagreement on the intercession of the Imams, the position of waid or unconditional punishment of God. In the Mutazalite view justice and goodness exist as universal values are independent of God, as opposed to the theistic subjectivism view. So God cannot do evil even if he tries, because justice is inherent in his essence (Hourani). The Mutazalites, as rationalizing philosphers theologians, exalted reason and valued reason as a source of true knowledge. Mutazalism also believes in free will and does not accept the concept that all acts are predetermined. In the Mutazallite view then God is seen as a rational being that imparts justice (Caspar) According to them all things exist according to an ‘objective moral order’, so that good and evil were intrinsic to all things. Believers are judged by their own faith and action which are independent of God’s will. Some Mutazalites have even gone as far as to say that It is better for humans to reach heaven by their own efforts rather than with God’s help. The problem with divine justice theory is that it limits Gods power and agency over man. Furthermore by imposing free will upon man, God is forcing humanity to be free. In a way the free man, completely responsible for his actions, becomes set up as a creator or a rival of God. (Hourani) Obviously then God’s authority becomes constrained and its existence comes into question. This position intrinsically negates God’s omnipotence, and it also seems to ascribe to God the constraints of man which brings it into a direct opposition to the traditionally accepted concept of Tanzih, which proclaims that Allah is free of all defects and failures.